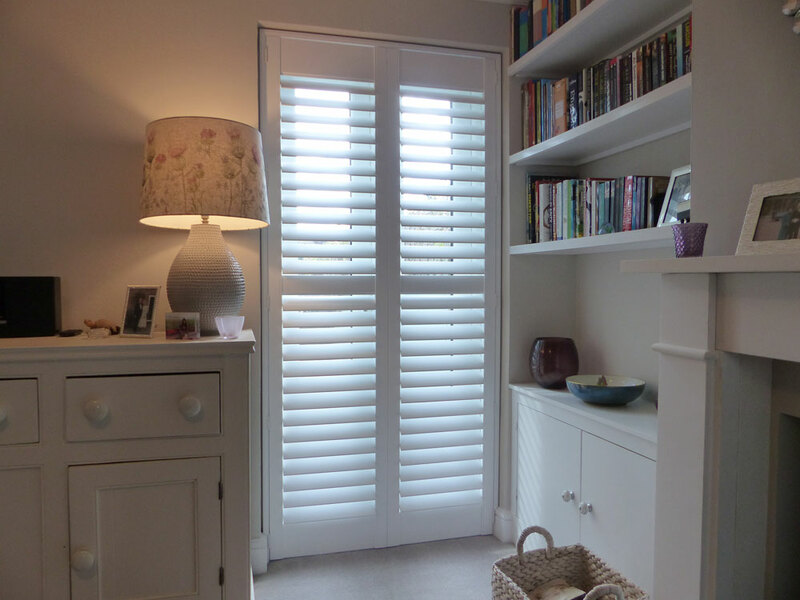 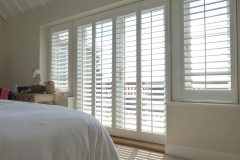 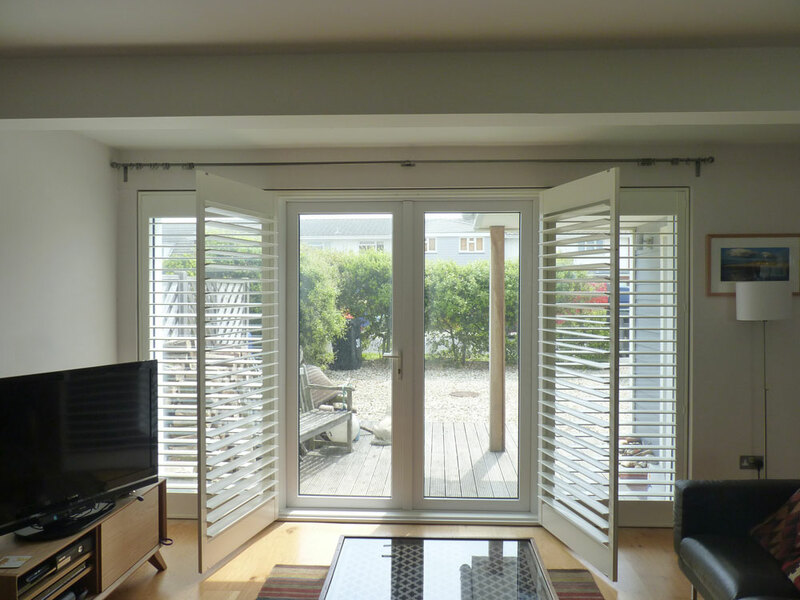 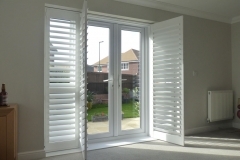 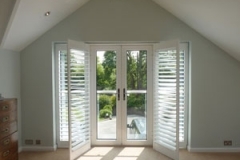 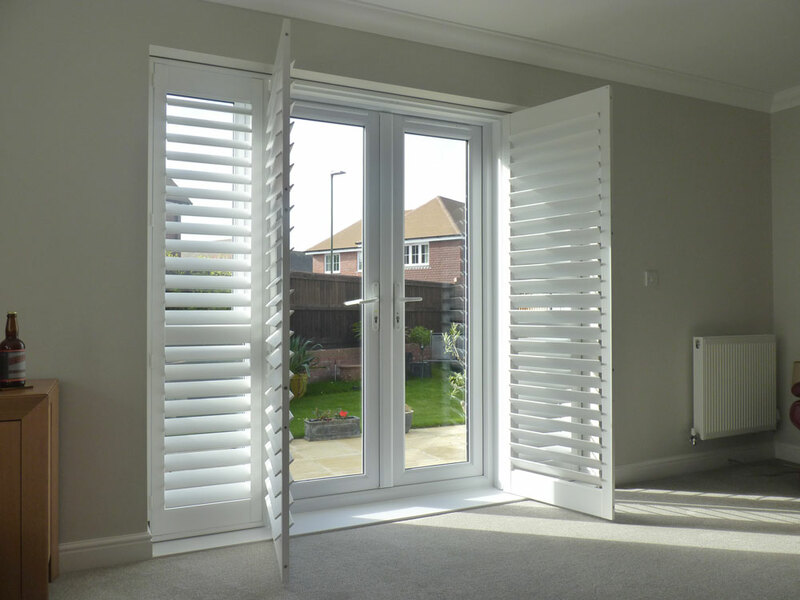 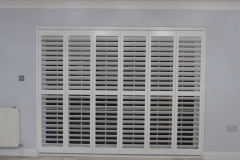 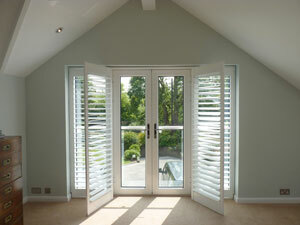 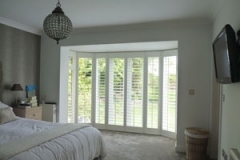 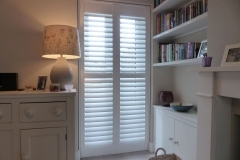 Shutters are a great solution for your doors as it adds privacy without removing the light from the room. 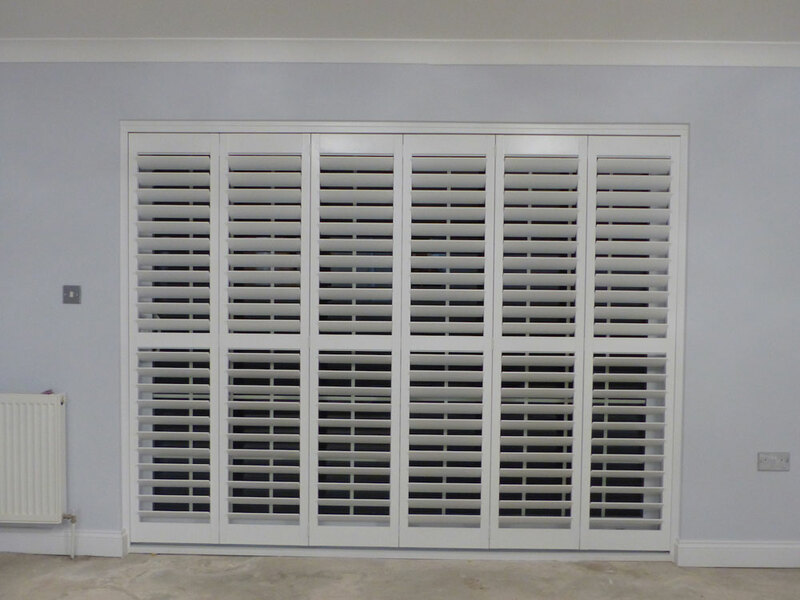 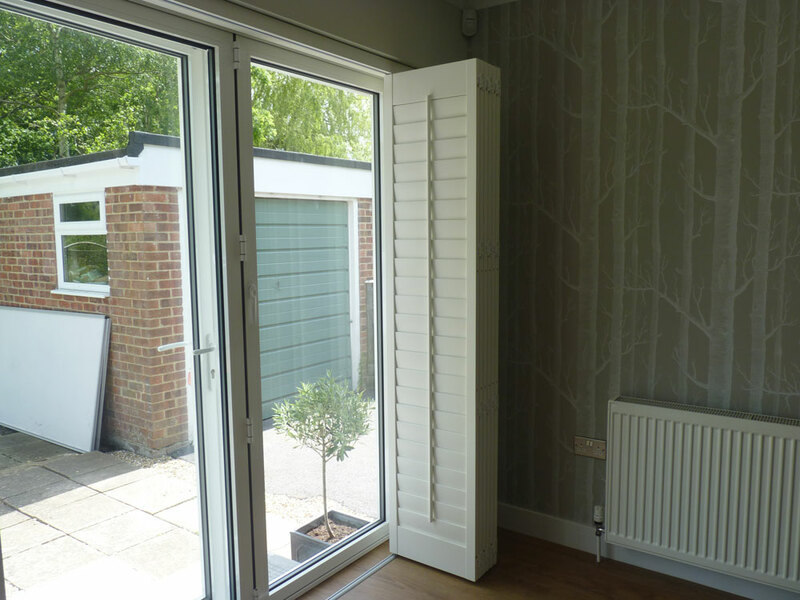 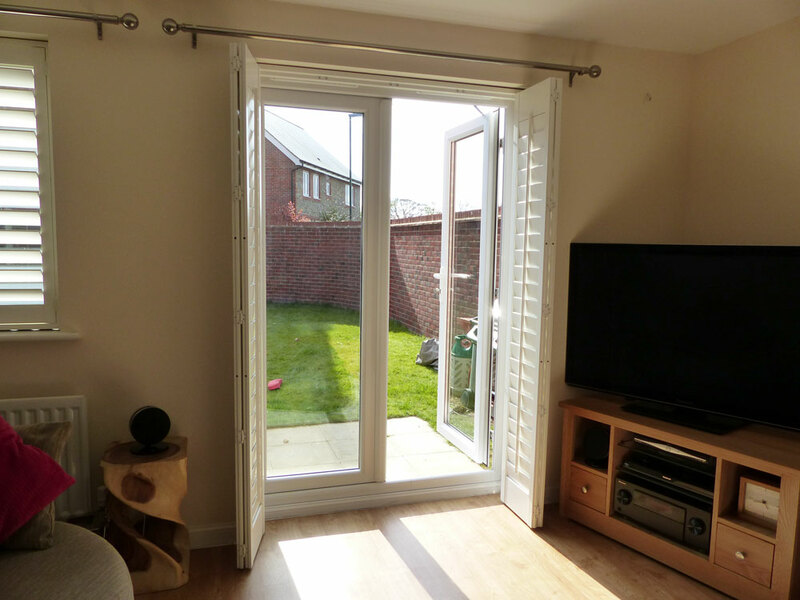 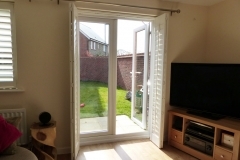 Whether they’re hinged like cupboard doors or mounted on a track, shutters still allow full access to the doors behind them. 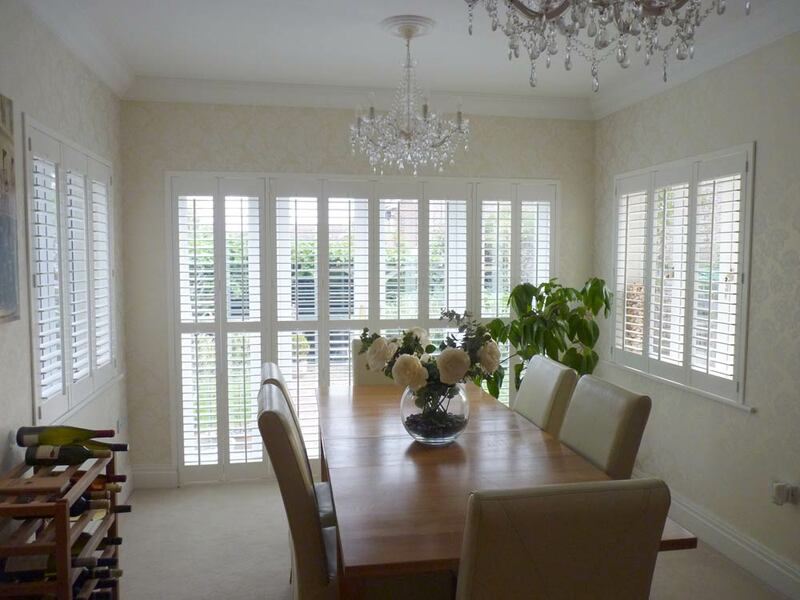 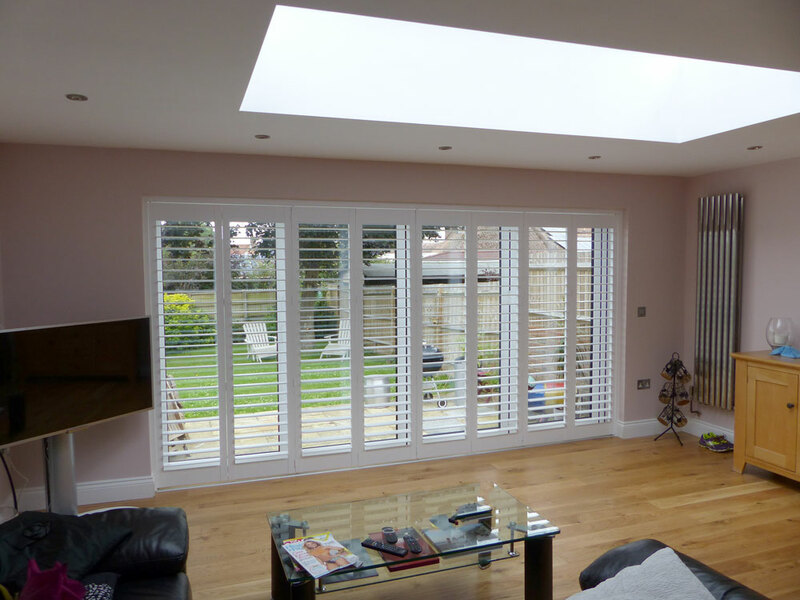 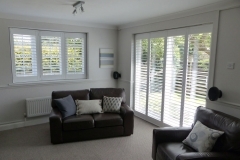 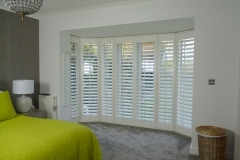 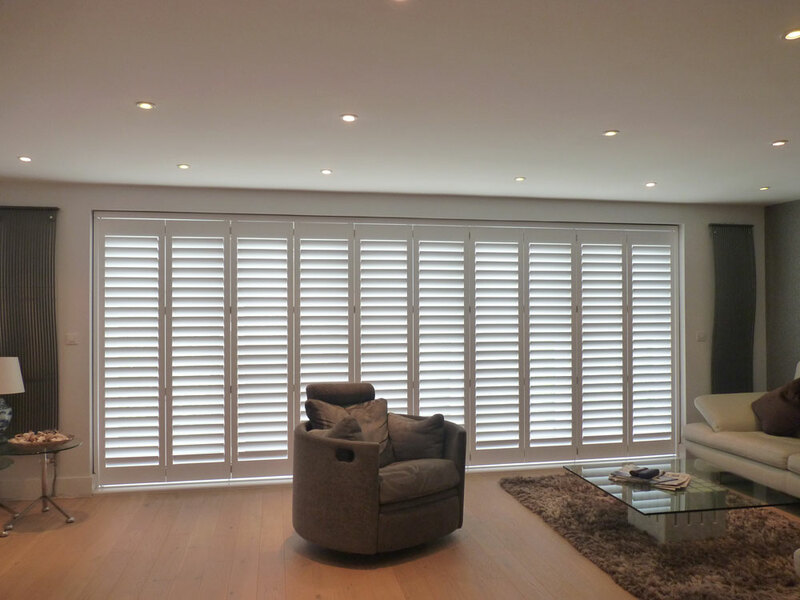 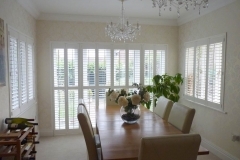 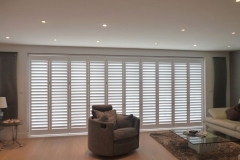 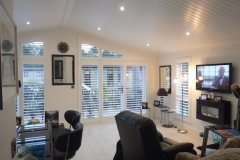 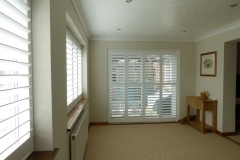 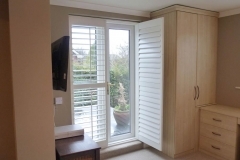 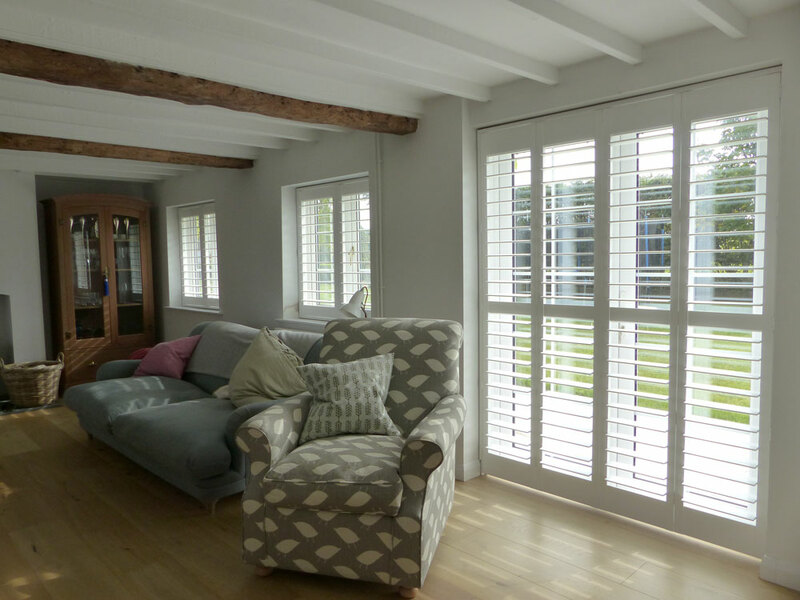 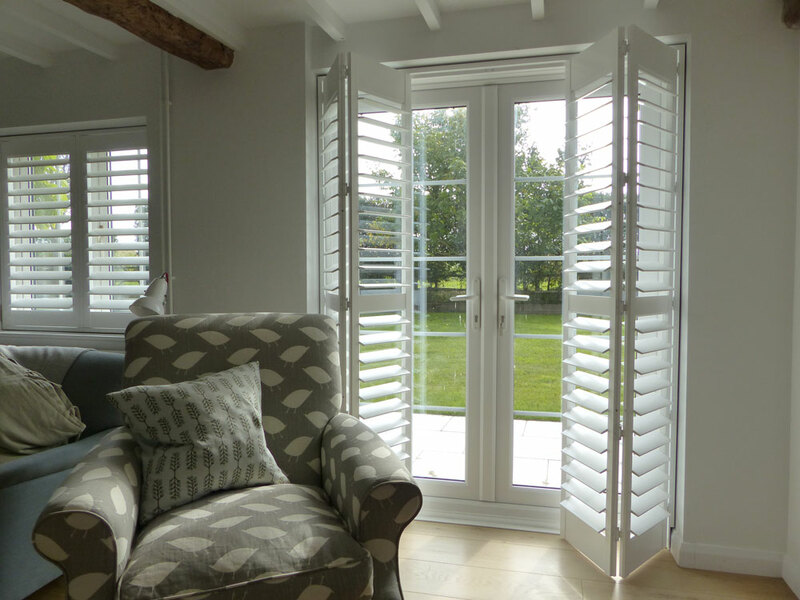 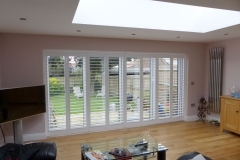 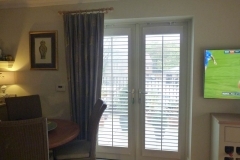 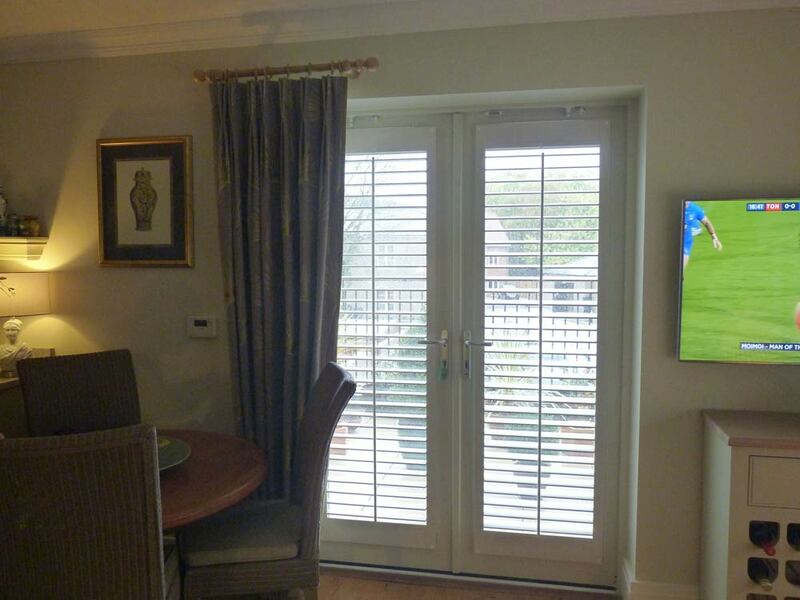 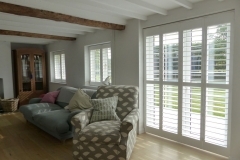 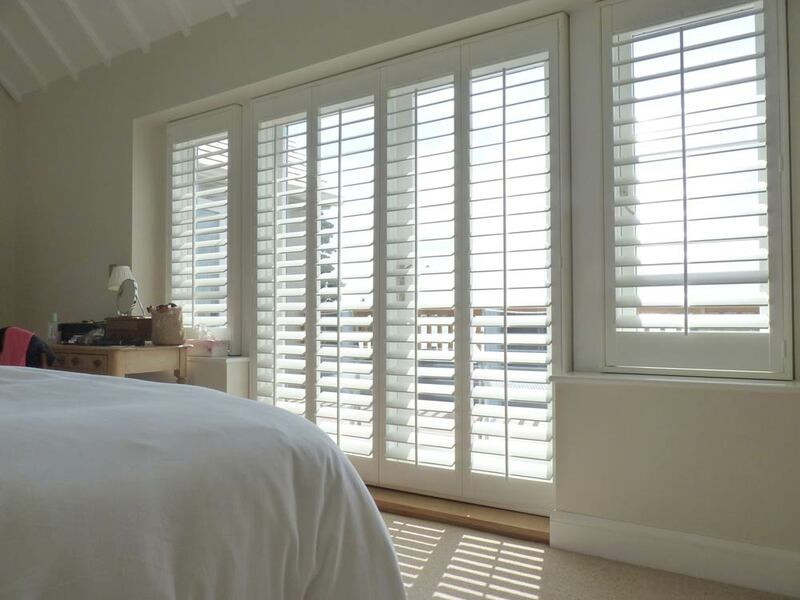 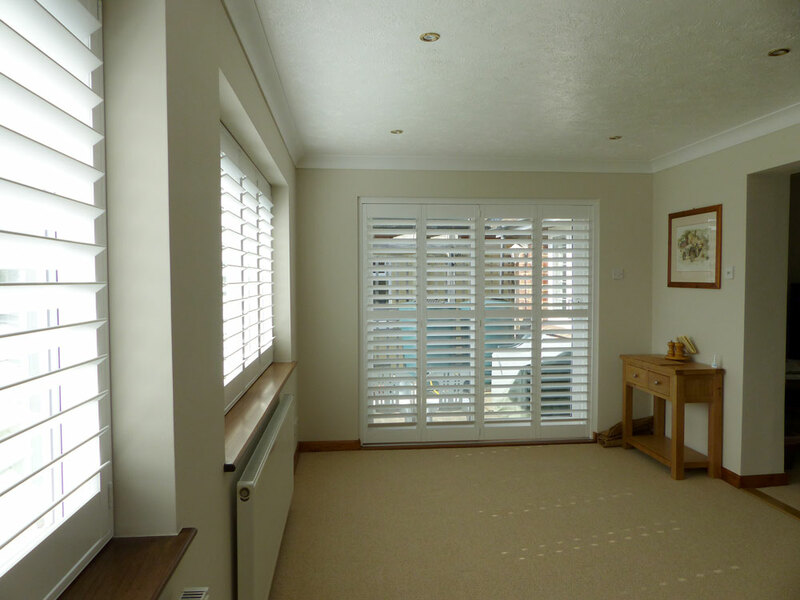 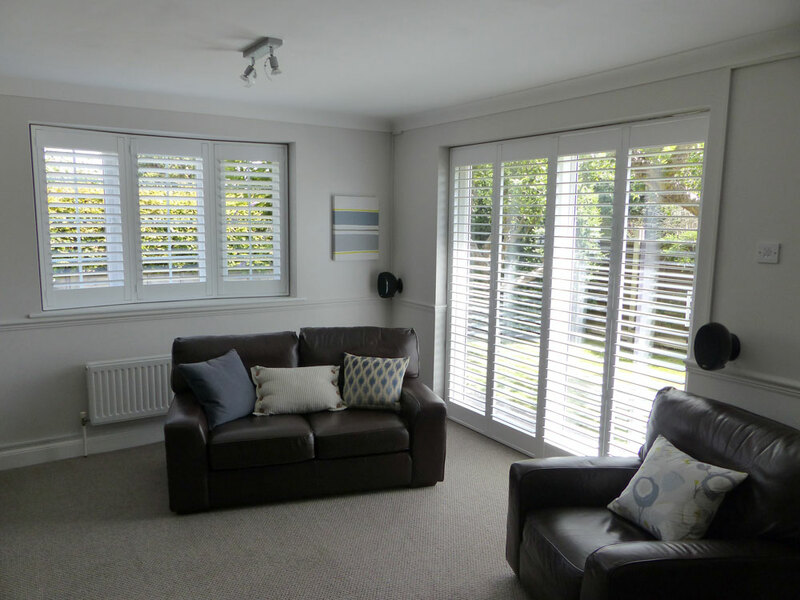 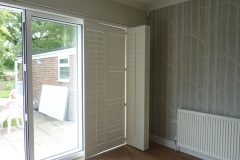 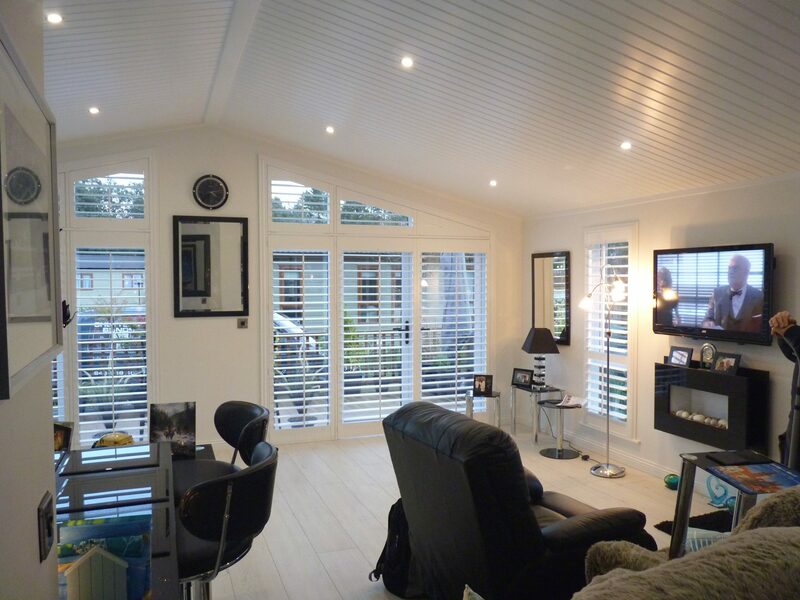 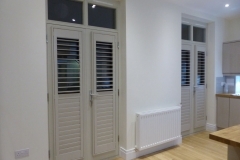 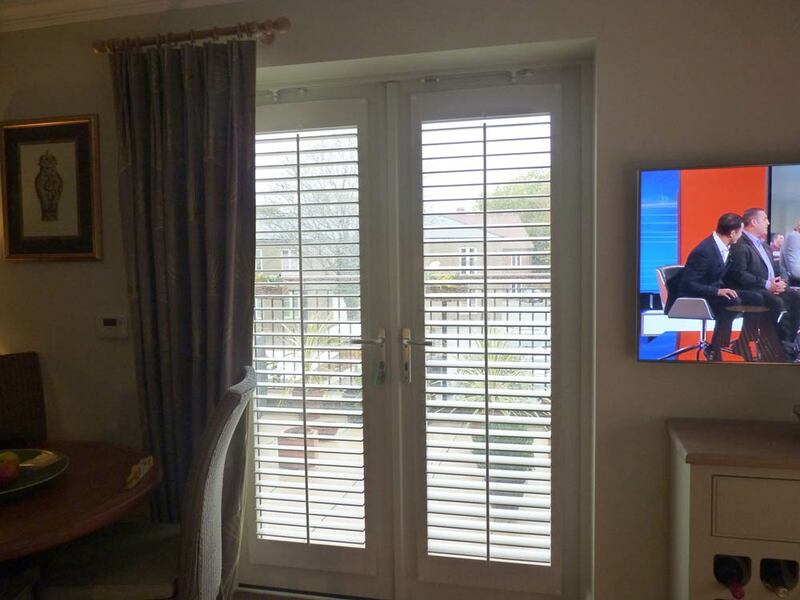 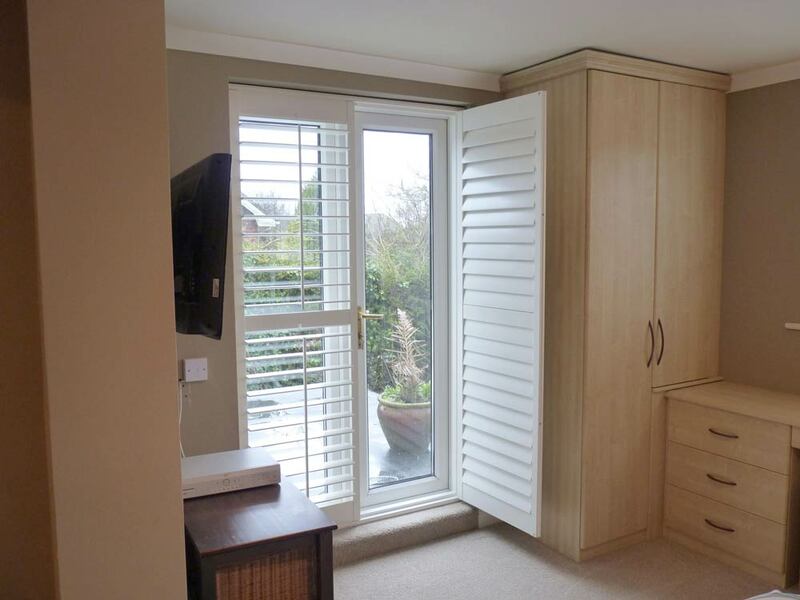 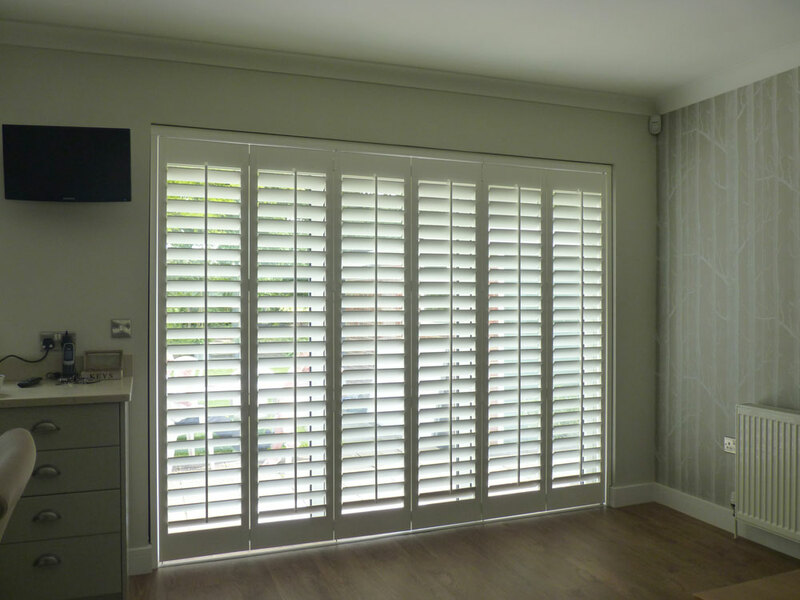 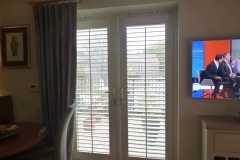 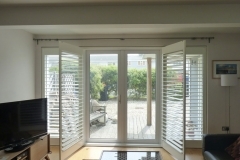 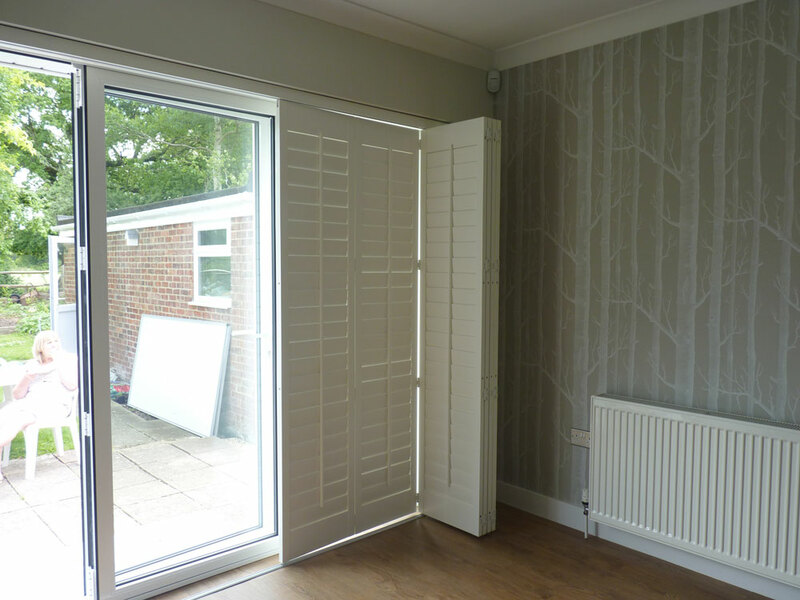 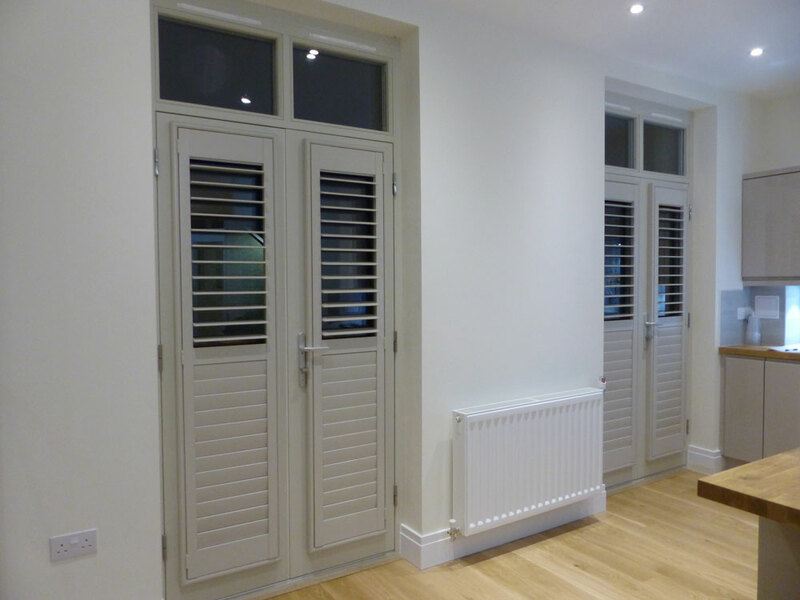 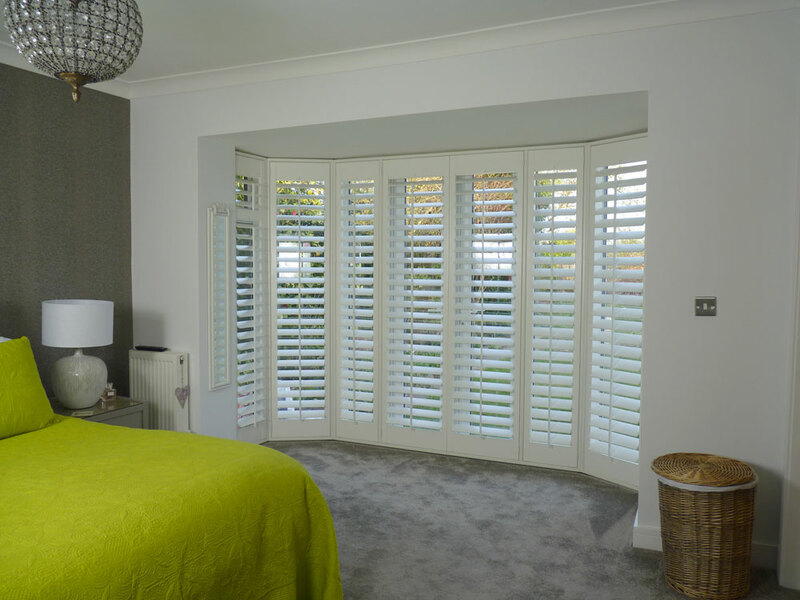 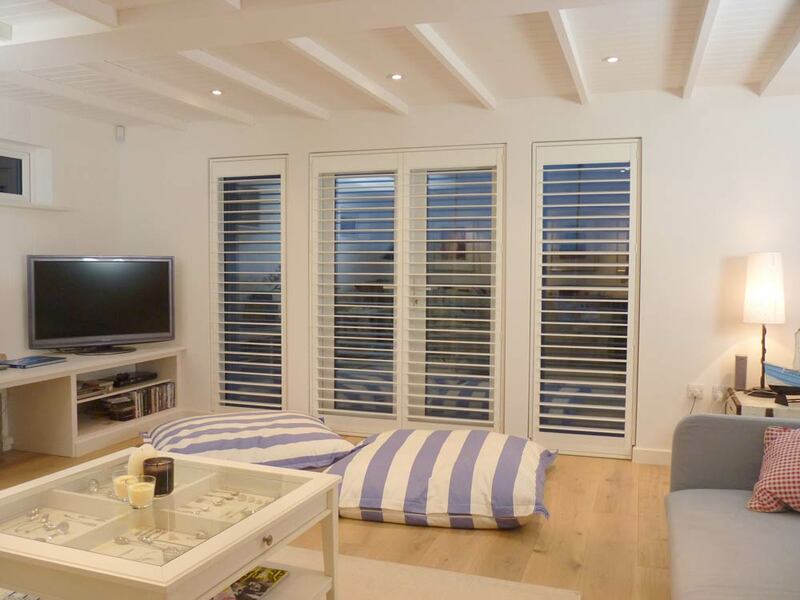 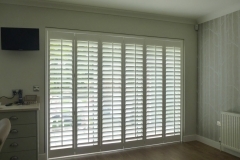 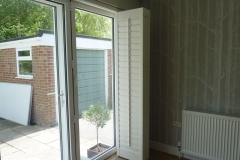 Shutters on doors really do become a key feature of the room. 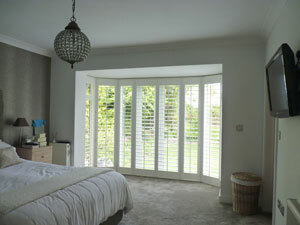 Check out the image below for inspiration.